Is your office furniture a little boring or something you would typically find at the local office supply store? Then you might want to consider chairs or a desk from PitStop Furniture. 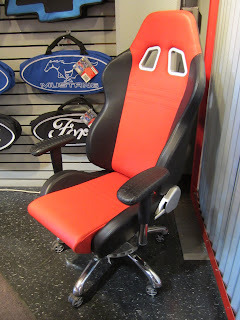 The PitStop Furniture offers a unique mix of automotive inspired office furnishings and is available at California Car Cover. The Receiver Chairs are inspired by automotive racing seats. The chair features a sturdy steel frame and sport styling. The chair features an adjustable back for optimal comfort. The armrest feature embossed tire tread pattern for a very cool automotive look. 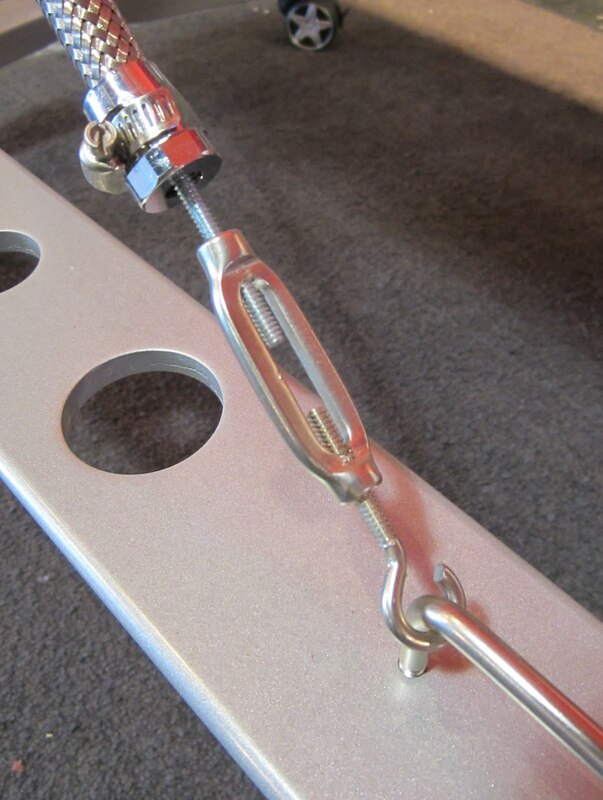 The Rolling Desk Chair features many of the details that the Receiver Chair has, plus many more. 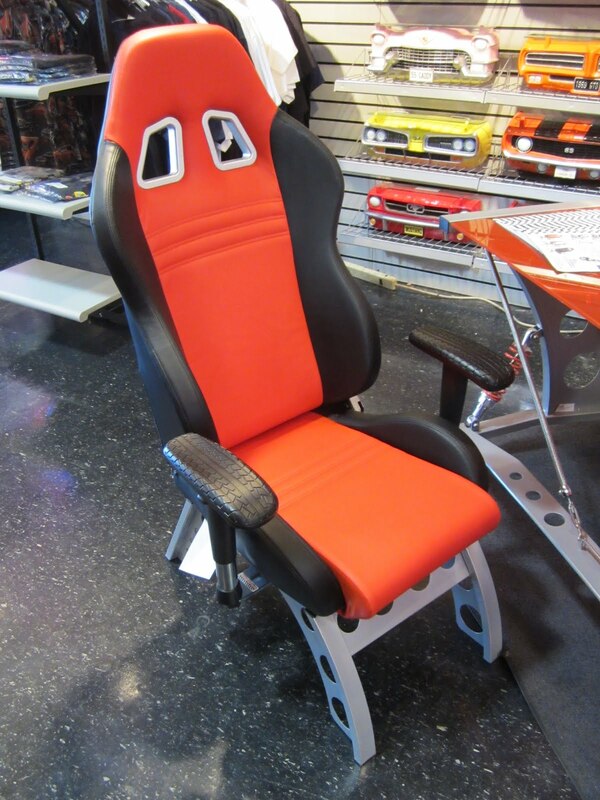 You'll notice the tire tread armrests and adjustable backrest. 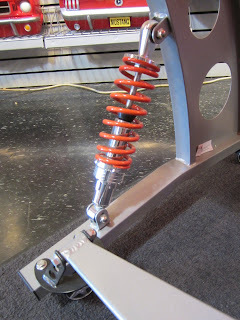 In addition, the Rolling Chair features an aluminum shift knob handle seat adjuster. The armrests positions can be adjusted as well. The chair has stitched seams and styling inspired by racing seats. Sport style wheels are designed to mimic racing wheels found on European automobiles. Above the rolling metal base is a decorative brake disc and caliper to add even more automotive inspired style. The chairs are available in a few different color combinations to coordinate with your office or garage decor. The glass top desk is also available in a variety of colors. The steel frame desk features a number of racing inspired details. The paper holder is inspired by a race car's rear wing. Braided cable and metal eyelets secure the desk frame. Want to see more? The PitStop Furniture Collection can be viewed on our main website, as new items are continually being added. These chairs and desk and be viewed in our showroom on Chatsworth, Ca at anytime.